Instant access to applications and data is essential for driving productivity and efficiency within your business. Mobile computers – handheld, wearable or truck mounted – give your staff the freedom to access and update data on the move, helping your company to work faster and smarter. Robust and loaded with options and accessories, mobile computers utilize Android or Windows operating systems and cellular, wi-fi and blue-tooth connectivity. These devices will help you leap into the future! Contact us to learn more about mobile computing solutions. Gather data on the go with convenient handheld mobile computers. Your team will be able to gather more accurate data in less time with these small, easy to use devices. Get access to all of your data on the go with vehicle mounted computers. These devices can be easily added to vehicles within your warehouse, managing data throughout your supply chain and increasing efficiency. In the healthcare industry, you need a reliable mobile computer system to keep data at health professionals' fingertips. These healthcare mobile computers are similar to smart phones, which makes training a snap. Busy workers always seem to have their hands full! Wearable, hands free mobile computers give your team the flexibility and mobility they need to gather data on the go without carrying bulky computers around. 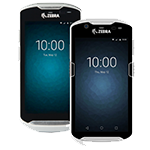 Give your employees the ability to work more efficiently with the Zebra TC70, an enterprise-class handheld computer. 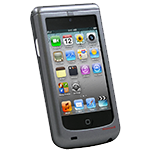 Its rugged design allows it to withstand life in the field or on the shop floor. With an advanced scan engine, it is able to capture data at a long range. 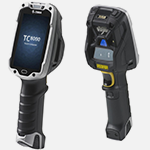 Rugged and ready for everyday use, the TC75 contains a scan engine capable of capturing data at a longer range than previous models. 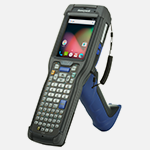 Give your employees the ability to work more efficiently with this enterprise-class handheld computer. The TC5x mobile computers deliver a modern interface with an approachable usability. Designed for enterprise environments, these touch devices offer all of the necessary features for optimal power, security and manageability. 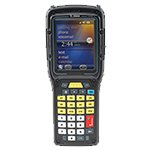 The rugged TC57 Android Touch Computer builds on the TC56, adding a new platform and capabilities to deliver the ultimate in enterprise-class touch computing for workers outside the four walls. Cellular network flexibility provides the fastest connections for workers. 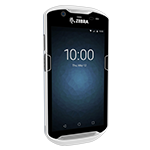 The Zebra TC20 mobile computer features a snap-on PowerPack, integrated barcode scanning, and a Zebra OneCare service plan designed for this device. Become more productive with this big business technology for your small business. 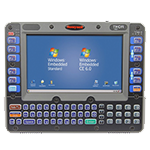 The TC8000 Touch Mobile Computer is designed to increase productivity and decrease fatigue. With the 'tilt and verify' motion minimized and the graphics-based touchscreen, the TC8000 gives workers the ability to be more efficient in the warehouse. 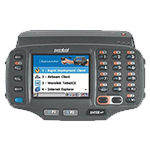 Featuring a rugged design and a contemporary user interface, the MC9200 mobile computer is an industry leader. It is built for all-day use in the toughest environments, ensuring dependability to keep your operations running smoothly. The NEW MC9300, with better ergonomics, you can fulfill more orders with increased speed and accuracy. Its Android platform gives you future-proof technology you can count on. 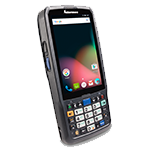 An evolution of the MC9000 Series, you get a familiar form factor, pre-loaded Terminal Emulation and easy migration to modern, touch-based apps for training in minutes. 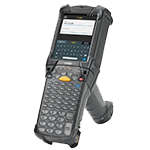 The Zebra MC3300 Mobile Computer gives you the flexibility you need to capture barcodes in any situation. 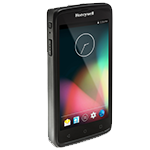 This device offers options for Android™ Jelly Bean or Microsoft™ Embedded Compact 7, so that you can select the right OS for your business. The Omnii XT15 Mobile Computer is designed with company growth in mind, giving you the flexibility to add more features in the future. 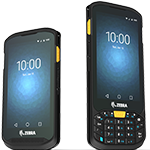 Built to be rugged and reliable, you can streamline inventory management in demanding environments with high-performing results. 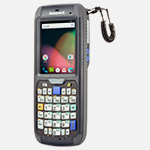 Built on Android and the Mobility Edge platform, the CT40 is a full-touch device for retail, light T&L, and DSD applications. Increases workflows from the sales floor, backroom inventory management, in-store merchandising, & order picking for in-store pickup or delivery. 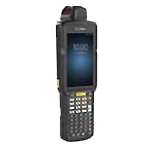 Featuring reliable connectivity and fast data capture, the rugged Dolphin CT60 is designed to maximize productivity. It is built on the Mobility Edge Platform, which won't force you to sacrifice security, reliability, or performance. Built with premium, industrial-grade materials, the CK75 Mobile Computer is a rugged solution for your warehousing and distribution needs. Despite its industrial-grade materials, it is smaller and lighter than others in its class. Powered by a multi-engine processor with 2 GB RAM, the CN75 is a future-proof solution for your enterprise business demands. Its versatility allows you the choice of a Windows or Android operating system on a single device. 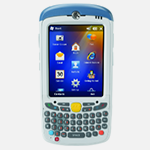 This nimble and multi-functioning mobile computer offers the versatility of Windows or Android operating systems, a powerful 1.56Hz dual core, a 5-megapixel color camera, and more. Its flexible network adapts to your connection needs. 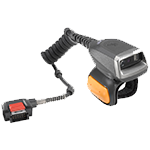 Honeywell's ScanPal™ EDA50​ is designed for everyday use on the retail floor. With this device, your employees will be able to easily capture barcodes and share secure information between team members in real time. Exceptional user experience will increase internal efficiency and maximize productivity. 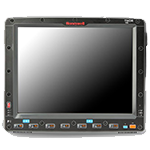 The ScanPal™ EDA70 is Honeywell’s enterprise-ready tablet providing real-time connectivity for business-critical applications and efficient data capture capabilities inside or outside of four walls. Introducing the A680, our 6" ultra lightweight rugged handheld, featuring Android 8.1 OS. The xTablet A680 is GMS certified and one of the first to be GMS EU and EEA ready. 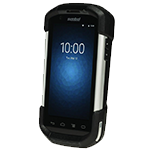 This high-performance Android™ mobile device is great for workers who need fast data access while on the move. This large-screen handheld computer will especially shine under bright sunlight, and it will work hard all (work) day long. Adding a Captuvo SL22 enterprise sled allows retailers to improve the customer experience. This sled for your Apple device empowers sales associates by providing them with the tools they need to increase conversions on the floor. 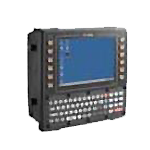 The VH10 series mobile computer provides real-time information to increase the productivity of your workforce, which makes it especially useful in warehouses, manufacturing, and transportation. Multiple mounting options and flexible connectivity will enable you to maintain efficiency in the most demanding environments. 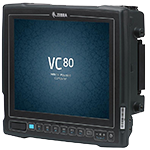 Built with a rugged, compact design to survive harsh environments, the VC80 vehicle-mounted computer is designed for operators in material handling vehicles. Its fast wireless connections keep workers connected to your data and business applications. 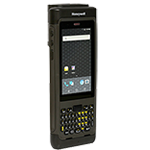 Built with the same easy-to-use, and maintain features of the Thor VM1 and CV41 models, the rugged, Android™-based Thor VM1A also offers all the advantages of Honeywell’s Mobility Edge™ platform – including the ability to accelerate provisioning, application certification, and deployment across the enterprise. Increase the efficiency of your workflows with the VM1 vehicle-mount computer, designed to give flexibility to your supply chain operations. The field-replaceable front panel reduces maintenance costs by integrating the keyboard and touchscreen into a user-replaceable part. Between power management preferences and the ability to face rough conditions, the VM2 computer is built for warehouse, port, and yard process automation. Its design makes it capable of increasing efficiency across your workforce while reducing maintenance costs. Built to minimize disruptions in the supply chain, the VM3 Vehicle-Mount computer can withstand the toughest distribution center environments, manufacturing facilities, and freight operations. Deliver value for your business, increase productivity, and gain a competitive advantage. 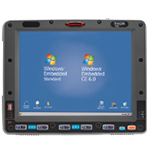 The TC51-HC mobile computer delivers a modern interface with an approachable usability. Designed for healthcare environments, this touch device offers all of the necessary features for optimal power, security and manageability. 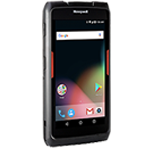 The rugged TC52-HC Android Touch Computer builds on the successful TC51, adding a new platform and new capabilities to deliver the ultimate in enterprise-class touch computing for workers inside the four walls. 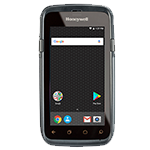 Access patient records, monitor vitals, and more with the rugged MC55X-HC mobile computer, designed for hospital use. The sleek, lightweight design keeps it compact while your sensitive data is kept secure. 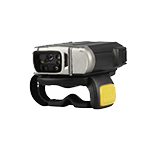 The RS4000 features Adaptive Scanning technology, giving workers the ability to increase productivity and accuracy. You'll be able to keep your hands free and eyes on the items you're handling. 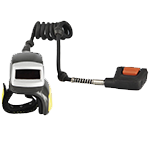 The RS5000 ring scanner is a reliable and durable solution for increasing worker productivity. Dust-proof and spray-proof, this device was designed for subzero environments, allowing your workers to maximize their efficiency. The RS6000 minimizes scan frustration with improved range and motion tolerance. The result is fast, accurate scanning, regardless of the environment, with an increase in battery power over previous devices. 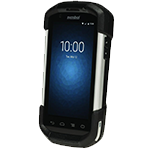 Meet the high demands of moving items through your warehouse or distribution center with the WT41N0 wearable mobile computer. Easily expand its functionality with a wide range of accessories made with your business's future in mind. 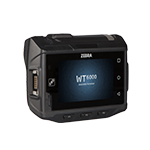 Smaller and lighter than other wearables on the market, the WT6000 delivers a comfortable and durable solution that increases productivity. It's built for demanding work environments so your enterprise operations run efficiently.